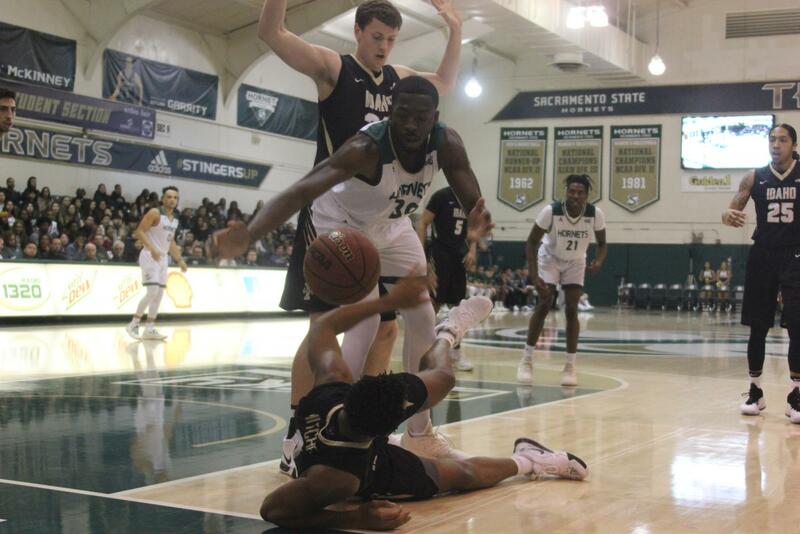 Sac State junior center Joshua Patton dives for the ball during the Hornets 69-48 win over the University of Idaho on Thursday. 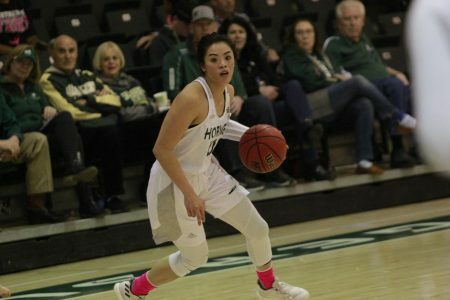 Patton finished the game with 13 points and 8 rebounds. 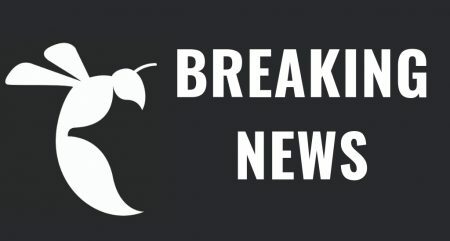 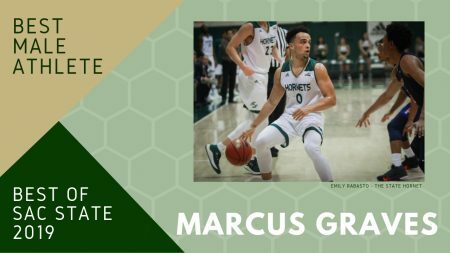 Sacramento State senior point guard Marcus Graves recorded a double-double as the Hornets defeated the University of Idaho 69-48 and improved their record to 8-8 overall and 2-5 in the Big Sky Conference. 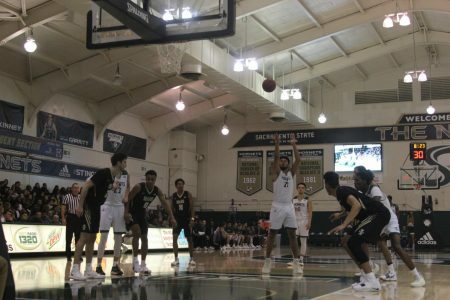 Sac State led for 35 minutes and 14 seconds and the biggest lead of the game was 25 points. 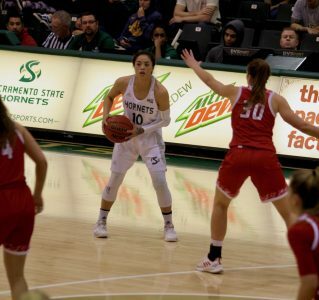 The Hornets defense forced 14 turnovers and held the Vandals to 38.6 percent shooting from the field. 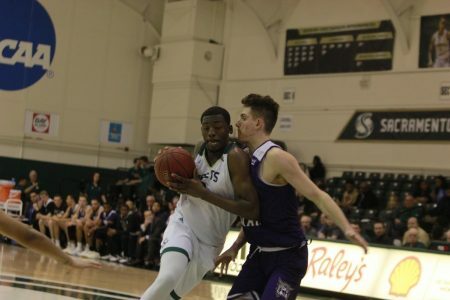 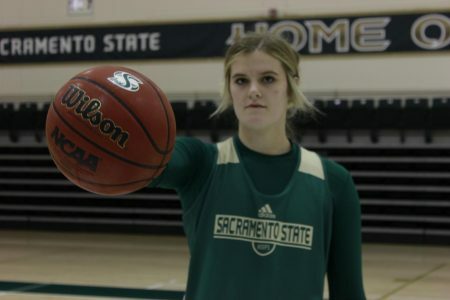 Sac State also outrebounded Idaho 34-24 and junior center Joshua Patton led the Hornets with 8 rebounds. 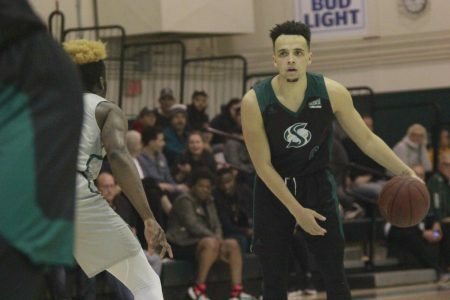 Sacramento State is now 5-2 at home this season and five of its next eight games are set to take place at home. 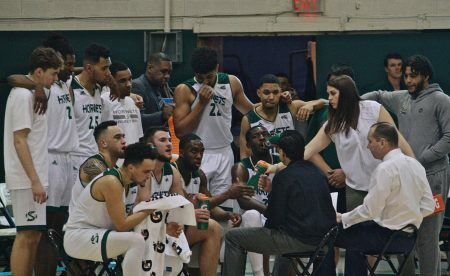 Head coach Brian Katz said it is important to win on your own floor and protect home court. 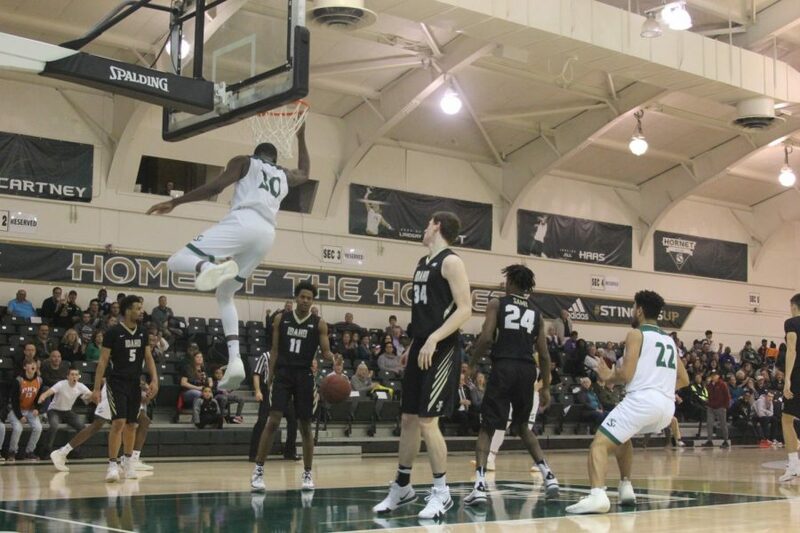 Sac State junior center Joshua Patton hangs on the him after he dunked the basketball in the Hornets 69-48 win over Idaho on Thursday. 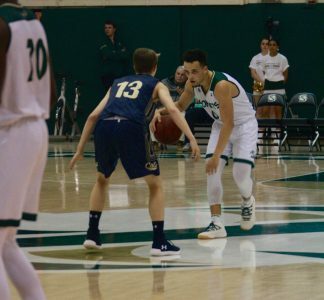 Marcus Graves had 14 points and got his teammates involved offensively with 10 assists, giving him his third double-double of the season. 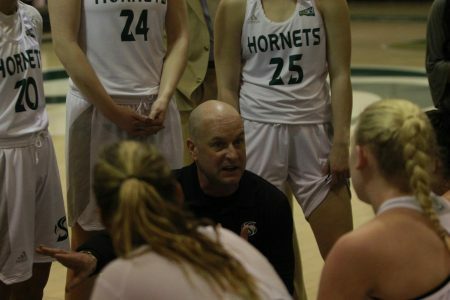 The Hornets next game is Jan. 26 at The Nest against Eastern Washington.